Slice the avocado in half and drizzle with lemon juice to prevent discolouring. Separate the hard boiled yolks and whites of the eggs and chop finely. Mix the chopped egg whites with the spring onion. 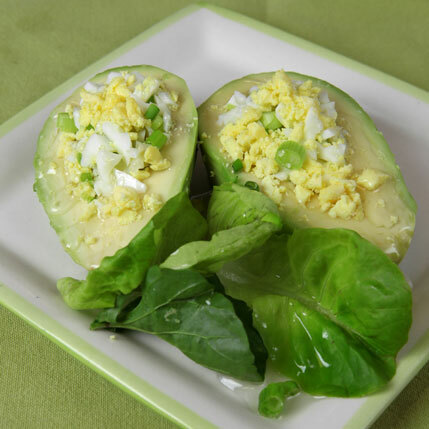 Fill the avocado cavities with the chopped egg white and sprinkle the chopped yolk on top. Serve on a bed of lettuce leave, optional.